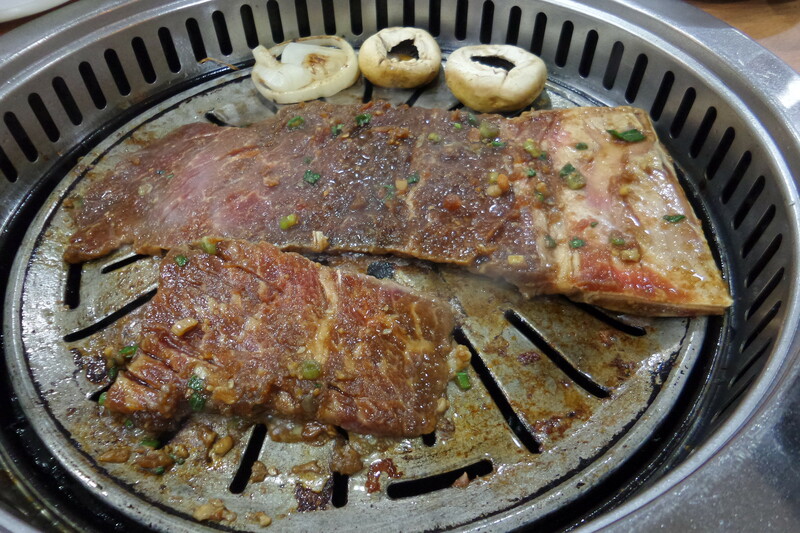 There seems to be more and more Korean BBQ restaurant popping up on our shore but Ju Shin Jung Korean Charcoal BBQ at West Coast is probably one of the first and also my favourite. 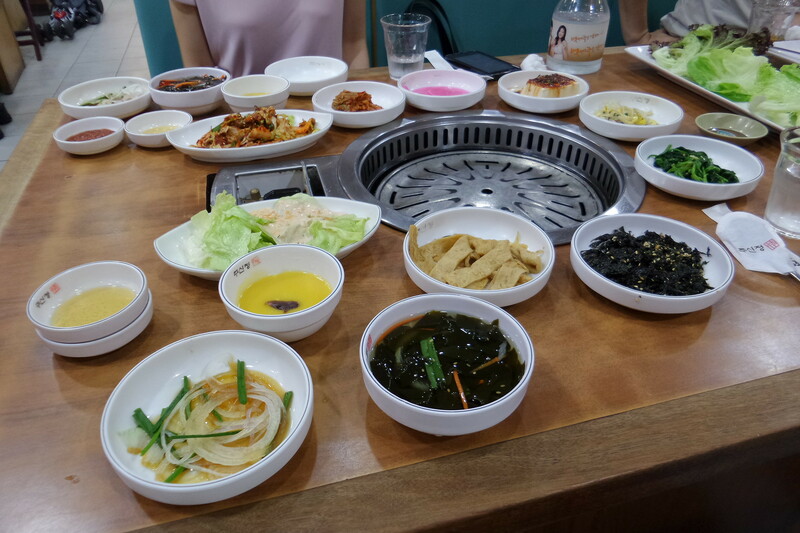 To keep things simple, I always ordered the 2-3 pax set ($129) with comes with a tsunami of the side dishes or banchan and a choice of two meats. Furthermore, the banchan is refillable. Pardon me for saying this but I have a mental note not to revisit Korean restaurants that charges for their banchan. I have seen a couple of newly opened Korean restaurants doing so. 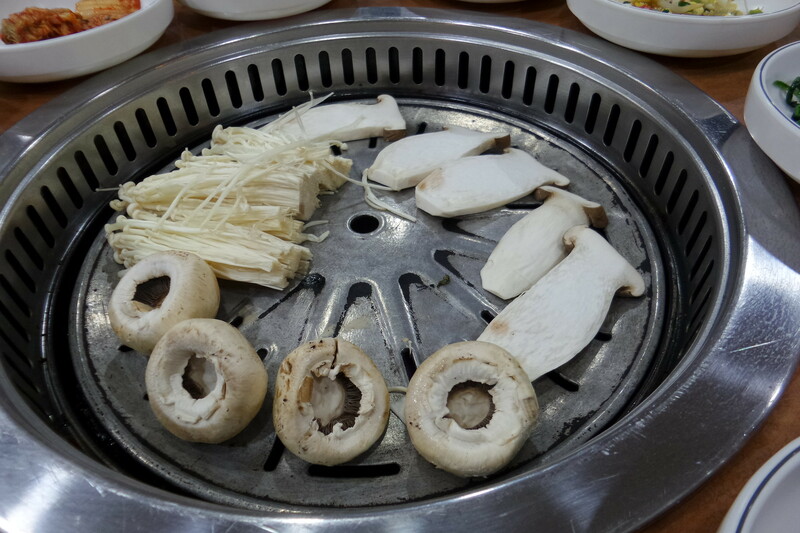 Sorry to say this, this money making concept takes away the soul of Korean cuisine. For the choice of meat, I went for the Pork Belly and Marinated Beef. 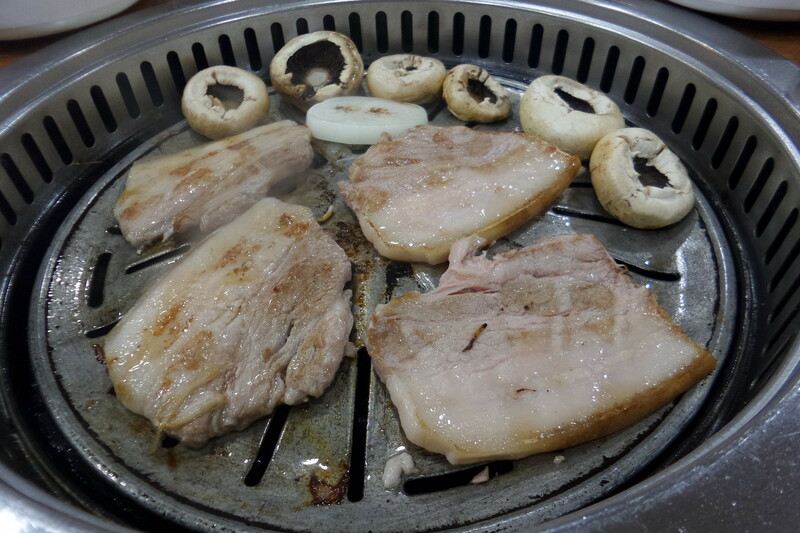 The other reason why I enjoyed my experience at Ju Shin Jung is that the staff are very attentive and they will also help to cook the meats. In addition, the service portion is huge and quality is good. This place seems to be extremely popular for dining so do make sure you make a reservation first. Be also prepared to be smell of BBQ after your dinner. *All photos in this post is taken using the new Samsung Galaxy K Zoom LTE smartphone. Thank you for dropping by my site and glad to hear that you agreed with my comment. It's market as charcoal grill, but actually is using gas over charcoal. Meat is pricy but the sides are plentiful and good. No exhaust, and whole place is so smoky and after the meal, we smell real bad.